Do you want to relax after a long, tiring, and stressful week at work? Instead of spending your weekend at home, are you thinking of going on a trip that does not only help you unwind but also lets you play a good game of golf? If the answer is yes, then go book a weekend golf vacation in Myrtle Beach now. You will definitely liven up your spirit as you breathe in fresh air and share good laughs with other players or loved ones who’ll be going with you on the trip. Enjoy a good game of golf while de-stressing and recharging for another busy week ahead. You should think about getting a golf package. Buying items in bulk is a great way of shopping especially when it involves scheduling a golf trip. With Myrtle Beach golf packages, you will have the chance to play at golf courses for prices you can afford. So, why should you consider going on a weekend golf vacation in Myrtle Beach? Well, this place has long been known for its top-notch golf courses and accommodations. 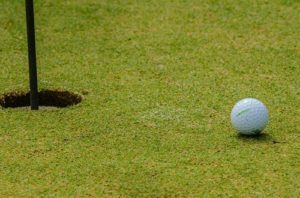 You will have several options to choose from, not to mention the many different tourist spots that you can visit when you are not playing golf. With a golf package, you can use various golf courses at your booked tee times. You will get the opportunity to select the time when you wish to play golf. Given that, you, your friends and family will surely have fun with the many things, tourist spots, and all day access to different golf courses that Myrtle Beach has to offer. Myrtle Beach is a famous place in the U.S. because of its many different tourist attractions. It is known for its picturesque sandy beaches, lavish hotels, wonderful dining scene, excellent entertainment, and great local shopping centers. If you are planning to visit Myrtle Beach, do not forget to drop by at some of the best spots like Pirates Voyage, The Carolina Opry, Barefoot Landing, Helicopter Adventures, Broadway at the Beach, Brookgreen Gardens, and Skywheel. Apart from going on a quick golf vacation this weekend, you should also consider booking one this fall. Fall is just around the corner and it is one of the best times of the year to schedule a good golf vacation. Before you know it, leaves will begin to change, the days will get shorter, and temperatures will start to drop. However, there’s a big possibility that you are still not ready to store your golf gear away. So what should you do? Check out Myrtle Beach Golf Directors for some of the best golf packages and golf courses in Myrtle Beach. 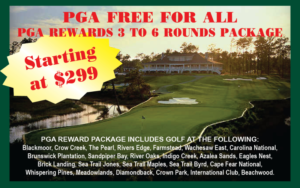 Call Myrtle Beach Golf Directors for more information. Myrtle Beach is one of the most ideal golf locations. In fact, it has become one of the favorite destinations for golf lovers and enthusiasts. Many individuals and families love spending their summer golf vacations or even long weekends in this perfect golf location. With ideal weather conditions most of the year, Myrtle Beach is the location of choice for both beginner and experienced golfers. There are many ways to get into the golf game, including amazing golf packages and savings, including play and accommodations. With the aim of giving individuals access to economical yet exciting complete golf packages, Myrtle Beach Golf Directors has launched a new website to accomplish this goal. Myrtle Beach Golf Directors as upgraded the site with the newest features and benefits. Launching a new site is very timely and beneficial to those planning for a golf trip for the upcoming busy season, but wanted to find the most economical and practical solutions. Those who want to save money on travel expenses, golf courses, condo or hotel accommodations, course charges, cart, and more can take full advantage of the courses and packages offered by Myrtle Beach Golf Directors. These are available on the new site. There are definitely a lot of golf services, courses, and golf packages offered by many different companies in Myrtle Beach but nothing can really beat the offer of Myrtle Beach Golf Directors. Interested individuals can now use the new site for faster and more reliable access to the best Myrtle Beach Golf plans, packages, and courses. The Myrtle Beach Golf Directors can save money for groups and individuals and families to help them stay within their budget. With a proper understanding of local courses and what to look for, individuals can easily and conveniently book their ideal golf getaway online using Myrtle Beach Golf Directors’ new and upgraded website. Golf courses and vacation packages are common these days. 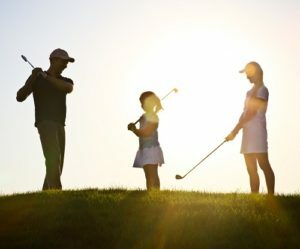 Many individuals feel great about being able to combine an exciting and relaxing family holiday with some fantastic golf play. Myrtle Beach Golf Directors now gives folks the opportunity to choose practical alternatives, allowing them to also stay in luxury golf resorts which cater to the needs and wants of a golf enthusiast. The choices will allow for not only great play on legendary courses, but provide close proximity to the beautiful Atlantic Ocean beaches all along the Grand Strand. Golf packages can be booked for both weekend getaways and longer stays. Regardless of what individuals choose, they will discover the best plans and packages that meet their needs and budget. To assist in choosing the right option, contact Myrtle Beach Golf Directors now. Need a custom designed golf package? Planning for a friend’s birthday getaway or a unique bachelor party? Contact Myrtle Beach Golf Directors and they can make it happen! Whether individuals’ golf courses, packages, and trips are driven by design, golf course location, or price, Myrtle Beach Golf Directors always has the ideal choices to make the overall experience a completely spectacular one. Using the new and upgraded website of Myrtle Beach Golf Directors is easy. A golf package can be selected by choosing a course or a package on the site. Or learn more by calling Myrtle Beach Golf Directors’ service representatives who are expert local golf directors. Golf packages are offered at a reduced price so individuals and groups can also enjoy more savings, play great golf, and enjoy a beautiful natural setting. Myrtle Beach Golf Directors is the leading golf Package Company in Grand Stand. The company caters to the needs of individuals and groups for great, yet reasonably priced golf packages and courses. The new site was designed with the aim of giving quick, easy, and reliable access to affordable golf packages in Myrtle Beach. For more information, visit https://www.myrtlebeachgolfdirectors.com. For further inquiries and assistance, call at (843) 249-5800 or email at info@myrtlebeachgolfdirectors.com.